Tired of the ordinary guest book you see in weddings or parties? You want something unique? 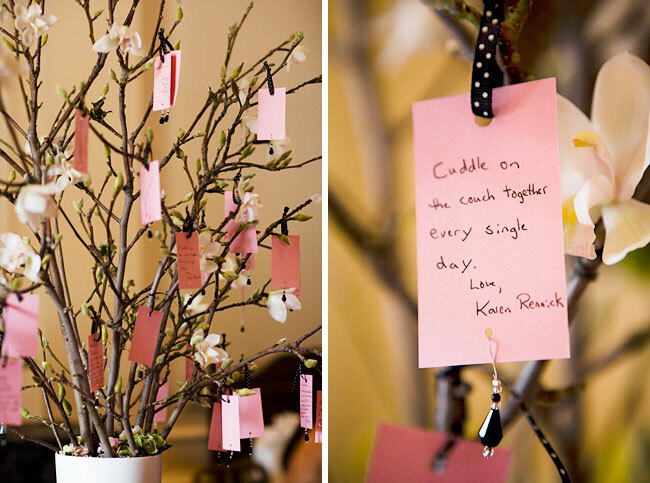 Well, this guest book tree is nice! We will actually try to do to do this in one of my friend's wedding come February. I forgot where we saw this photo (google for sure) but I forgot the exact site so I do not know whom to give credit..(sorry for that) but it's not mine. I just fell in love with this idea.